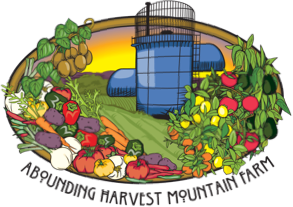 Abounding Harvest Mountain Farm is a certified organic family farm located in the Santa Cruz Mountains. We specialize in sub-tropical fruit and summer vegetables. We have avocado and citrus groves, as well as blocks of pomegranates, kiwis, and persimmons. Our vegetable production differs from year to year and primarily features warm season crops: pumpkins, onions, tomatoes, peppers and cucumbers. Our fruit harvest occurs throughout the year, with persimmons, pomegranates and kiwis in the fall followed by different varieties of citrus and avocados in the spring and summer. Please subscribe to our Blog for the latest photos and happenings.